The Crystal Dawn Headboat & Country Girl Charters provide a wonderful Outer Banks wedding activity for the entire party. 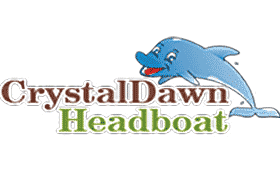 Book Crystal Dawn HeadBoat for weddings, bachelor or bachelorette parties, rehearsal dinners, weddings on the sea, wedding receptions or any other family or corporate event. While aboard, you’ll enjoy breathtaking views of the Sound, shorebirds and other wildlife. The Crystal Dawn offers fishing for up to 50 people or a cruising group of up to 100.